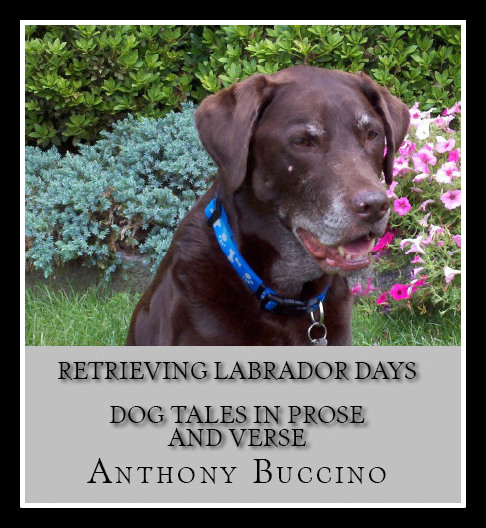 Stories and verse about each of his three Labrador retrievers and some of the other dogs and people whose lives they touched. 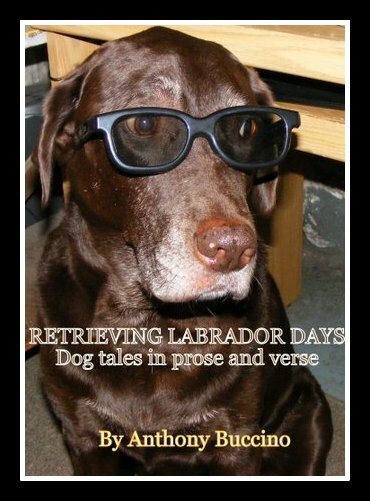 Shaggy dogs, mutts, mongrels, three Labrador retrievers and a pet rabbit inspire the stories and poems in this collection. 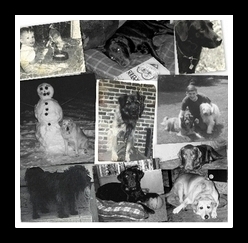 Pets of one kind or another have shared the past six decades of the author's life, and here are some stories that will make you laugh out loud and others that remind you of the escapades and exasperations you've been through with your pets. Some of these pieces ran in Buccino's Rambling Round columns and originally appeared in one or more of the following newspapers: The Independent Press of Bloomfield, The Glen Ridge Paper, Belleville Post, Nutley Journal, published by Worrall Community Newspapers. A Hare Raising Story and Elephant Grass appear in A Father's Place. What More Can I Expect From My Sidekick? Who Are The Doggies In Your Neighborhood? "I see from the Bibliography that many of these pieces have been published. The prose articles sound like a newspaper column. They are good, fun to read. Dog people would love them. You have a talent for seeing everyday happenings and putting a funny spin on them. Just as children love to read about naughty children in their stories, naughty dogs are just as much fun. I liked the prose pieces much better than the poetry. I also think you should have alternated the prose and poetry rather than presenting them in two definite sections. I wondered why you placed a Bibliography after the dog pieces and then move on to present poetry about birds and other subjects. That invalidates your title. There are some typos, and a few mistakes in paragraphing indents that should have been picked up by a copy editor. I think your phrase 'dog biscuit factory just over the hill'� is clever. Once. Because it was so unusual, it was noticeable when you repeated it . . . and wasn't as funny. You write well. If you think you can continue to come up with sharp ideas about your dogs, or dogs in general, look into seeing if you can find a local newspaper that would like a funny, pet column. Good luck.